We believe whole-heartedly in what we do! In all our work, we try to share our knowledge and pass on our enthusiasm – explain why things are fascinating and encourage people to learn, understand appreciate things. And in everything we do, we try to find new and exciting ways to interpret, present and engage. That’s why we make sure that walks and talks, events and activities, all possible forms of public or community engagement, are an essential part of our calendar. We are all veterans of public engagement: schools, community groups, clubs and associations, WIs, festivals and fairs, you name it! 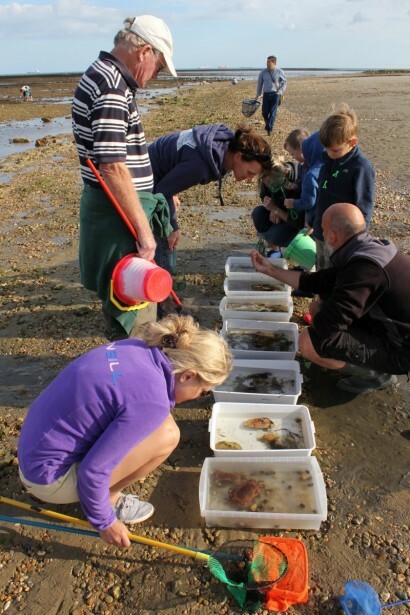 The Isle of Wight Walking Festival, the biggest of its kind in Europe, is a favourite and we run birdwatching (and listening), bughunting, pond-dipping and rockpooling events for all ages – look out for our Dawn Chorus walk for example. 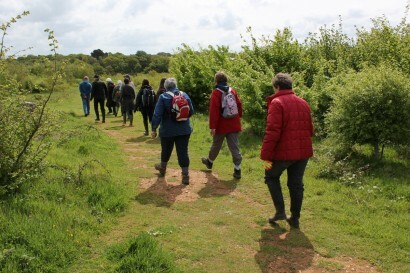 We also collaborate with our wildlife trust and council in the summer and winter walks programmes – free events that encourage residents and visitors alike to explore new and familiar places in search of wildlife. We’re always happy to respond to requests to talk, at schools and local clubs and societies; we have a great photograph library from our work and plenty of interesting projects to present. Ian Boyd’s expertise on bugs and bees is renowned on the Island and so the most popular requests for talks seem to be the one about bees and how to look after them – thanks to our amazing team however, we can cover everything and anything from climate change to the world’s best birdboxes! The Arc team also participates in other forums and with other organizations to share information and expertise, from lecturing at the Isle of Wight College to helping with local biological recording through the Isle of Wight Natural History Society and the annual Bioblitz. We also organize the events programme for the wonderful Alverstone Natural History Society which Arc people (in other times) founded 20 years ago!